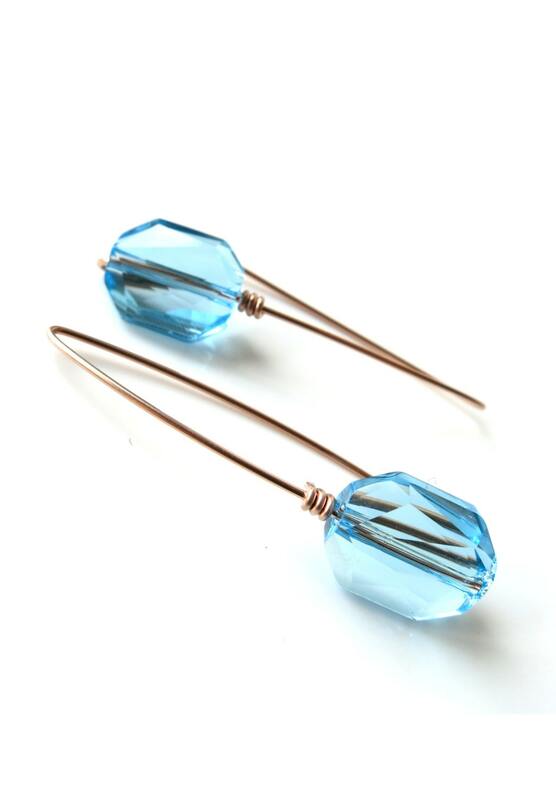 Rose gold filled hand wired earrings with Swarovski Aquamarine Crystal drop (12mm x 10mm). 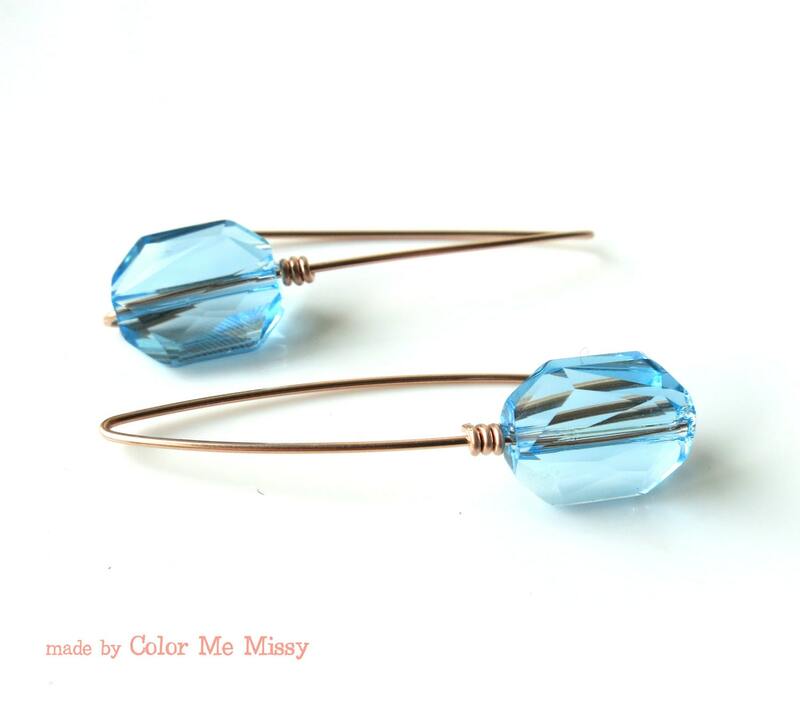 ✦ Made with Rose Gold Filled wire, so it will not discolor or flake if taken proper care. 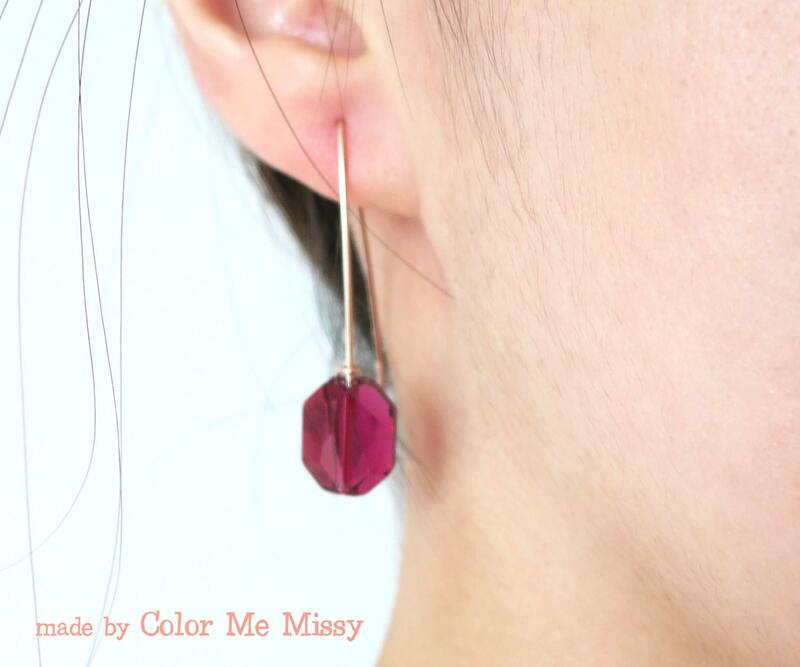 ✦ Due to the hand wired nature, each and every earrings are slightly different, and therefore unique. ♥ International Registered Airmail: average of 12-18 WORKING days (excluding weekends) to deliver. 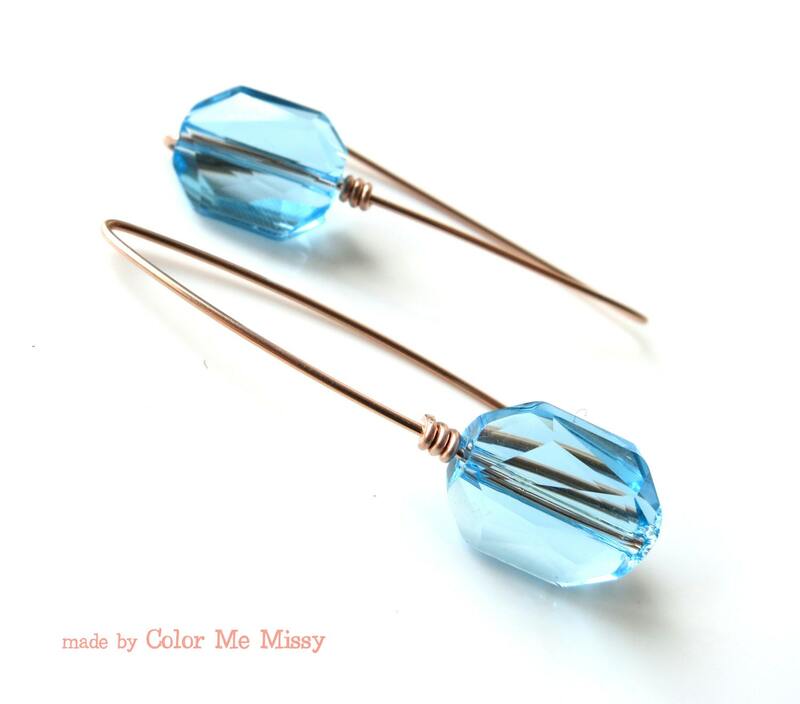 ♥ Processing time (production time) + Shipping = the time you should expect to receive your jewelry.